On October 20, 2009, Laura Guido-Clark designed a new fabric collection called “Entwined”. The goal of the collection was to entwine us with nature’s artistry, employing weaving methods reminiscent of embroidery to create simple lines of varying weights, intricate patterns and delicate shapes such as a leafy trellis or delicate spider web. 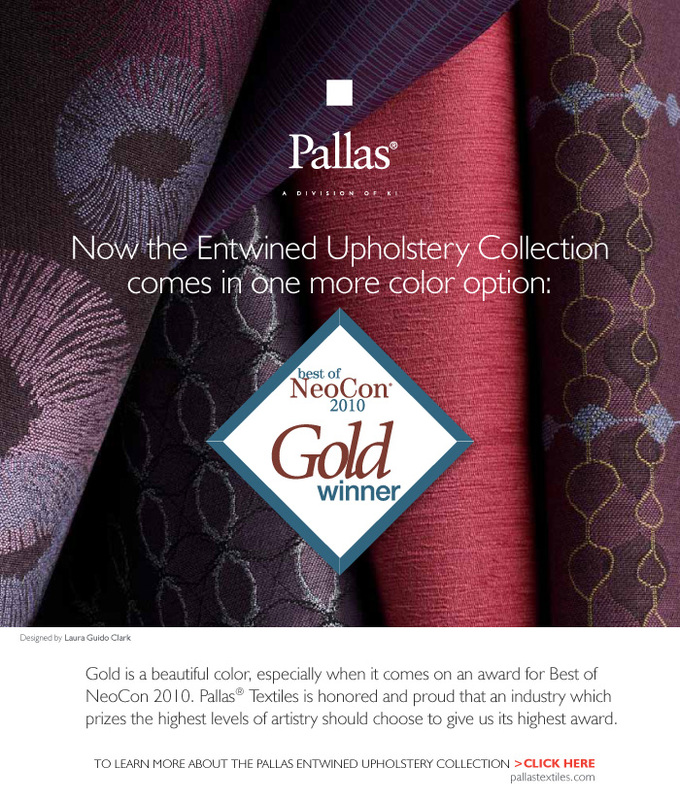 In 2010, this textile collection won 2010 Best of NeoCon Gold, Healthcare Fabrics! You can order a sample of these award winning fabrics here on our site! A portion of the proceeds from the Entwined collection will benefit breast cancer research.